Jazeman Jaafar put in a strong performance at the first round of the World Endurance Championship, heading for a podium finish until late in the race when the #37 car was caught out by unfortunate timing of a safety car period, dropping Jazeman and his team mates to fourth in class and tenth place overall. 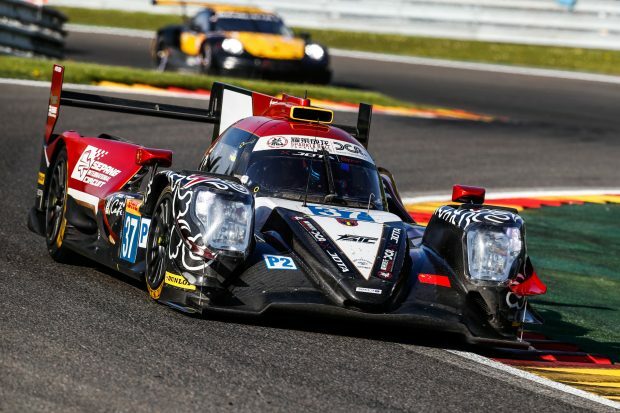 The Malaysian trio of drivers – Jazeman, Weiron Tan and Nabil Jeffri – piloting the #37 Jackie Chan DC Racing Oreca 075-Gibson raced together for the first time, with the support of Sepang Interntional Circuit. Jazeman found strong pace in each of the practice sessions, consistently running in the top three of the LMP2 class. Jazeman was first of the three drivers out on track for qualifying, but was hampered by two red flags, both falling on Jazeman’s hot laps, so he was unable to show his performance potential. At the end of qualifying, with Jazeman sharing driving duties with Nabil, the #37 car was fourth in class, just behind the sister #38 car. Jazeman was behind the wheel for the start of the race and quickly established a solid pace, running in fifth place when he pitted for new tyres, taking advantage of a safety car period. He was quickly back out again, improving position to lie second before he handed over to Weiron for the second stint. After his time at the wheel the `#37 car was lying in third place and it was Nabil’s turn to take to the track. Jazeman took over for another stint with four hours remaining, pushing hard to improve position as the race reached its final stages. Jazeman was unfortunate to pit for tyres just as a yellow flag fell for the safety car, which resulted in the pit exit being closed and Jazeman losing two laps Despite this, he kept the pressure on and turned plenty of quick laps before handing the car back to Nabil. Jazeman then took over for a final ‘splash and dash’ end of race stint, moving the car up from 12thto 10thoverall at the chequered flag. Jazeman said of the weekend, “It was a great start to the season, although it was disappointing to have lost out on a potential podium, mainly due to a safety car period falling at the wrong time. It was just one of those racing things that sometimes happens, but still very annoying. Salvaging fourth place in class and tenth overall was a good result all things considered. Jazeman will now prepare for the Le Mans 24 Hours race that takes place from 16-17 June. The first step on his way to France will be an official simulator session, a mandatory requirement for all Le Mans debutants.